UNDER THE LEADERSHIP OF HERCULES COLLINS. John Norcott was immediately succeeded by Hercules Collins, who conducted the Church through perilous times for over twenty-five years. This note implies a bulky church roll over a period of some years. It is all the more interesting to observe therefore that in the year 1676 (when Collins became Pastor and Keach preached Norcott’s funeral sermon to such a crowded congregation) a well-informed spy, who made a survey of the neighbourhood, failed to notice the Church. A very close and intimate fellowship was maintained with other Baptist Churches. When, for instance, there arose a small “matter in difference” between Wapping and the Horsley Down Church, the matter was referred to the arbitration of William Kiffin and others, William Kiffin having been for a generation the leader of a City Church. The Church believed in prayer both for the nation and for itself. With an almost monotonous regularity for a great many years, days of prayer and fasting appear. These early pioneers built well. They saw to it that, so far as was in their power, the Church should be kept pure and free from those who observed false practices, or whose lives bore the slightest stain of immorality and wrong-doing. The Minutes of the early years are full of disciplines carried out against defaulting members, and the cases are numerous of those who were to “be considered as rent from us.” These pages are regrettable reading, but it must be remembered that the true church had great foes at this time. The country had witnessed the degradation of religion, not only through error and superstition, but also through laxity in life and conduct. It is no small wonder, therefore, that the leaders of the Church were severe in their treatment of all delinquents. It is surprising and painful to learn that swearing, theft, drunkenness and adultery were the occasions of such discipline. Any secession to Quakers (whose influence was strong at this period), Seventh Day Baptists or the Parish Churches was swiftly and severely dealt with. Feeling ran high against those who in a weak moment took their baby to be christened. Midwives were advised against holding the babies at sprinkling, and members were solemnly admonished for attendance at such christenings. It must not be thought, however, that these early disciplinarians were hasty in their judgments. Although they were swift to take up a case of default, and although their actions seem somewhat stern in the light of these latter days, yet they showed wonderful patience. No one was summarily dismissed, but each was pleaded with and urged to true contrition and reformation. Similarly, great care was exercised with regard to those who wished to join the Church. Some cases came up again and again over a period of several years until at length the candidate for membership was considered eligible and fit to join. Church Meetings at this period were most largely taken up with the work of receiving or admonishing members, the appointments of Days of Prayer and Fasting, and the solemn setting apart of brethren to the work of preaching the Gospel. The pages of the Minute Books are noticeably free from the mass of items of organisation and detail of administration which are so characteristic of the Minutes of later years. The personal affairs of members sometimes came into the Church business. If considered carefully, some of them at least will be seen to be quite such matters upon which the New Testament says the Church should express itself. Here is an instance. In 1690 Bro. Minge was “admonished to maintain his mother and aunt that they be not chargeable to the Church.” Even loans of money made by one member to another were transacted in Church Meeting that the Church might be witness of the affair. If now a look is taken on the world outside it will be discovered that all was not going on so smoothly there as the domestic affairs of the Church Minutes would seem to imply. Baptist assemblies were still illegal. Spies and informers were receiving large money for the discovery of such dissenting congregations. The hand of the law was against them. Those double-minded Kings, Charles II. and James II., were a constant source of danger. To indicate how matters stood it will be helpful to notice some of the laws which were passed between the Restoration of the Monarchy in 1660 and the Act of Toleration permitting Baptists and other nonconformists in 1689. There were one or two Declarations of Indulgence given and withdrawn which permitted nonconformist ministers to preach on special licence. But there were so many doubtful points about these Declarations of Indulgence that many nonconformists either feared them or were opposed to taking the advantage offered. “Never, not even under the tyranny of Laud, had the condition of the Puritans been so deplorable as at that time. Never had spies been so actively employed in detecting congregations. Never had magistrates, grand juries, rectors, and churchwardens been so much on the alert. Many Dissenters were cited before the ecclesiastical courts. Others found it necessary to purchase the connivance of the agents of the Government by presents of hogsheads of wine, and of gloves stuffed with guineas. It was impossible for the sectaries to pray together without precautions such as are employed by coiners and receivers of stolen goods. The places of meeting were frequently changed. Worship was performed sometimes just before the break of day, and sometimes at the dead of night. Round the building where the little flock was gathering together, sentinels were posted, to give the alarm if a stranger drew near. The minister, in disguise, was introduced through the garden and backyard. In some houses there were trap-doors, through which, in case of danger, he might descend. Where nonconformists lived next door to each other, the walls were often broken open, and secret passages were made from dwelling to dwelling. No psalm was sung; and many contrivances were used to prevent the voice of the preacher, in his moments of fervour, from being heard beyond the walls. Yet, with all this care, it was often found impossible to elude the vigilance of informers. In the suburbs of London, especially, the law was enforced with the utmost rigour. Several opulent gentlemen were accused of holding conventicles. Their houses were strictly searched, and distresses were levied to the amount of many thousands of pounds. It was during this period that the Wapping Church was compelled to abandon the Old Gravel Lane meeting place. For five years the members were under the necessity of meeting in private houses. In this connection the Minutes reveal the honourable names of Brother Roofe, Brother Edgeone, Brother King and Sister Hammon, in whose houses on different occasions the Church met during these perilous months. Under this outbreak of persecution and intolerance in the year 1684, Hercules Collins, the courageous Pastor of the flock, was committed to Newgate Prison and fined £100. There he was kept for some time, but the Church held on its way strengthened by letters from its Pastor in his imprisonment. John Avering and Brother Hutchings were the Church’s guides while the “shepherd was smitten.” In September, 1684, Hercules Collins obtained his release. Happily the storm was not to last for ever. At length another Declaration of Indulgence came forth from the King, who by this time was in a panic. This was shortly followed by the abdication of James II. and the accession of William and Mary. In 1689 the Toleration Act legalised the assemblies of Baptists. Baptists were now free. This liberty was nearly wrested from them in the reign of Queen Anne, but her death saved the situation. THE CHURCH BUILDS A MEETING HOUSE. To show how buoyant and irrepressible was the spirit of the Wapping Church it is only necessary to look at the Minute Books. These Books reveal that in the midst of all this danger there was a Roll of Members amounting to nearly four hundred. This, be it remembered, was before the Church had a legal right to exist at all. What a moment for these brave souls this must have been! What a reward for their courage and perseverance! This Meeting House is one of the first nonconformist chapels that were purposely built for this object, and therefore great interest attaches to it. The Deeds setting out the lease of the land on which the Meeting House stood are still in the Church’s possession. 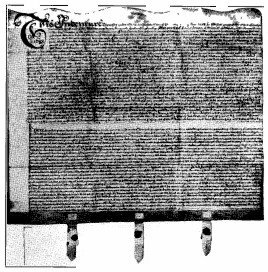 They are of outstanding historical interest in that they were signed and sealed on the 26th February 1688/9. In view of the fact that prior to 1687 it was not legal for Baptist communities to hold any property whatsoever, these Deeds represent the very earliest of such documents in the country. The Lease goes on to say that the ground was sixty feet wide from East to West, and one hundred and twenty-nine feet deep from North to South, and that on the East it was bounded by the “backyards” of several houses in Broad Street. An old map of London made by Joel Gascoyne in the year 1703 shows the position of Broad Street in relation to Old Gravel Lane. Whereas the first place where the members gathered was just off the east of Broad Street and between it and Old Gravel Lane, the new building was erected on the west side of Broad Street. All the land here belonged to a certain Captain Johnson by whom the Meeting House ground was leased to the Church. “Johnson Street” may be found in Gascoyne’s survey, and this gives very strong evidence as to the whereabouts of this very early Meeting House. The Church worshipped in this sanctuary for forty-three years. The ground around the Meeting House was made into a burial ground, and so was one of the very first grave-yards belonging to Dissenters. There is therefore some interest in a few particulars. For the interment in the burial ground of the Meeting House of any “not of the Congregation” it was necessary to pay something towards the poor of the Church. Church members were apparently buried free of charge, as far as a place in the burial ground was concerned. In 1699 it was agreed that the burial fee should be forty shillings (twenty shillings for a child) and to be paid to the Deacons for the poor. Ten shillings extra was charged to lay a stone at the head, and thirty shillings extra for a stone over the ground. LEASE OF LAND FOR JAMES STREET MEETING HOUSE, WAPPING. Dated February 26th, 1688-89. Shows signature of Hercules Collins. With the new-found freedom through the Act of Toleration and the building of the Meeting House, the Church went ahead. Very numerous baptisms are recorded from 1687 to 1692. Still more preachers were solemnly sent out and commissioned to preach “in the country or to any other orderly congregation.” This was a very valuable contribution of the Church to Baptist life generally, for there were many little flocks gathering together and needing under-shepherds. The first mention of a Harvest Festival is in the year 1694. The Church of these early times was more “awake” than is sometimes believed. The day at last came when the stalwart Hercules Collins should go to higher service. The calm grief and heroism of the deacons and members is very impressive as one reads the Minutes of the time. Hercules Collins died on October 4th, 1702, after many years of successful preaching. During his ministry the Church weathered the fierce storm of religious persecution, built its first Meeting House, and established itself as one of the leading churches of the Baptist Denomination. From Joseph Ivimey’s A History of the English Baptists Vol. 2, pp. 435-438. Of your late worthy pastor, Mr. Hercules Collins, concerning whom I have need to say the less, because his doctrine you have heard, and his example you have seen for so many years; the former was agreeable to the sentiments of the reformed churches in all fundamental articles of faith, and the latter such as did adorn the doctrine of God our Saviour. How exemplary was his submission under personal and relative trials; his own indispositions were frequent and great, yet in patience he possessed his soul, and was always learning from the discipline of the rod: and how well he carried it under the affliction he had with a near relation, you cannot but know. I confess I have thought him in that respect one of the best examples that ever I knew; surely no person could be more tender and sympathizing. In a word, he was faithful in every relation, a man of truth and integrity, one entirely devoted to the service of the temple, and zealously bent to promote the interest of the Lord Redeemer. But alas! this useful minister is silenced, and a few days indisposition has given him a remove from the toils of the pulpit, to the triumphs of the throne. I confess I had not the opportunity of conversing with him in his last illness; but I am informed by those that were with him, that he retained an excellent savour of divine things to the day of his death, and did discourse but the morning before he died after a very moving manner, being greatly affected with those words, They overcame by the blood of the Lamb. f141 ‘Tis true, he is fallen in battle, but he died more than a conqueror; and having fought the good fight, and finished his course, and kept the faith, he quitted the body, that he might receive an unfading crown of glory. Mr. Collins died the 4th of October 1702, and was buried in Bunhill-fields, where a stone was erected to his memory. His widow did not long survive him, as she died April 6, 1703. He wrote a large pamphlet in quarto, entitled, The Sandy foundation of infants’ baptism shaken. He also published in 1691 a pamphlet on the same subject, entitled, Believers’ baptism from heaven, and of divine institution Infant baptism from earth and of human invention. This last has been lately republished. that had a solid acquaintance with divine things; about which he always spoke with a becoming seriousness, and a due relish. — He shewed an unwearied endeavour to recover the decayed power of religion; for he lived what he preached, and it pleased God to succeed his endeavours in the gospel after a wonderful manner. HE had Luther’s three qualifications for a gospel-minister; he was much given to meditation and prayer; and hardly any man was more grievously tempted of the devil than he, though for many years Satan, in a great measure, was bruised under his feet; and God had so cleared up his love to his soul, that he could say, I know in whom I have believed. His constant walk was in the fear of the Lord, and in the comforts of the Holy Ghost. He had a full assurance of the love of God for many years: yet this did not make him careless, and negligent in duty: it did not lift him up above m measure, but kept him at the foot of Christ. He was faithful in every relation; a man of truth and integrity, one entirely devoted to the service of the temple, and zealously bent to promote the interest of the Lord redeemer. After a few days indisposition, he was removed from the toils of the pulpit to the triumphs of the throne, on the 4th day of October, Anno Dom. 1702. He wrote a large pamphlet in 4to, intitled, The sandy foundation of infants baptism shaken.